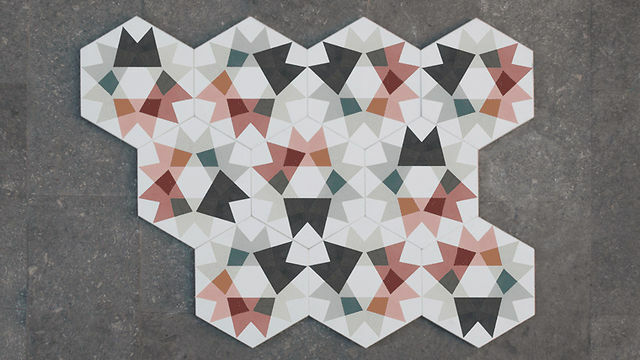 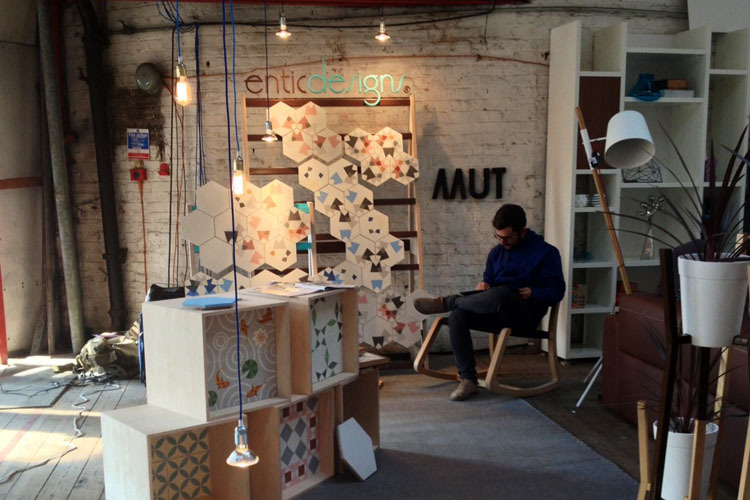 Spanish atelier MUT patterned these tiles with shapes that look like folded pieces of coloured paper. 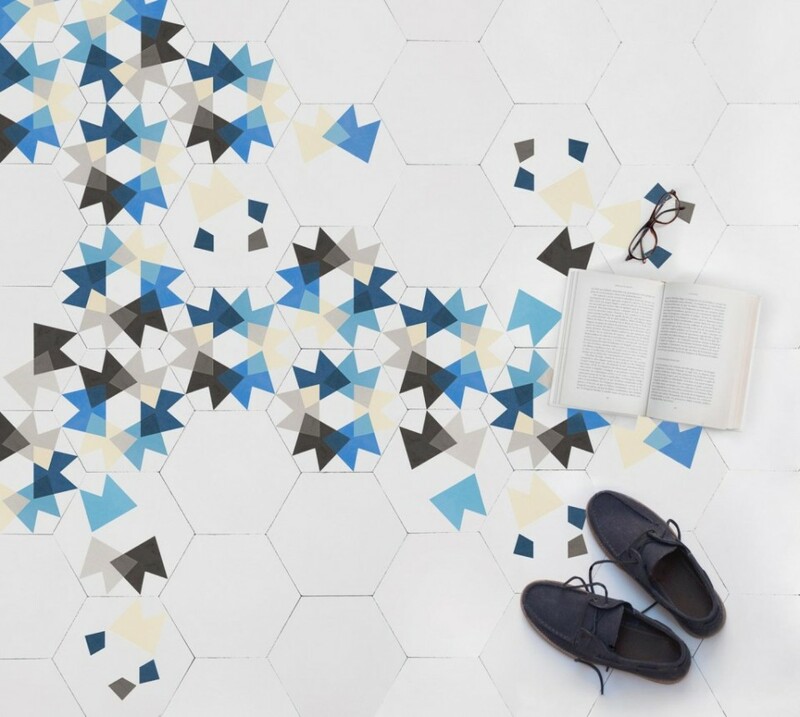 The hexagonal cement floor tiles are designed to imitate colourful patterns that can be seen through a kaleidoscope. 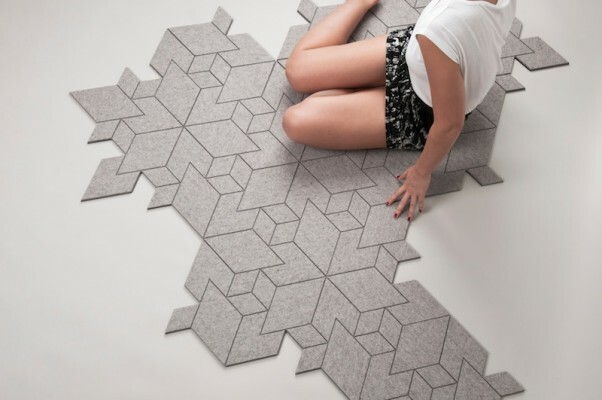 Four different designs range from a scattering of shapes to a complete radial design, which can be mixed and matched to create a multitude of patterns. 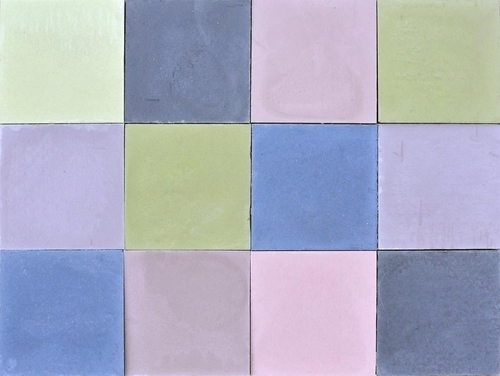 Manufactured in Spain by tile specialists entic designs, they are available in a blue- or red-based palette. 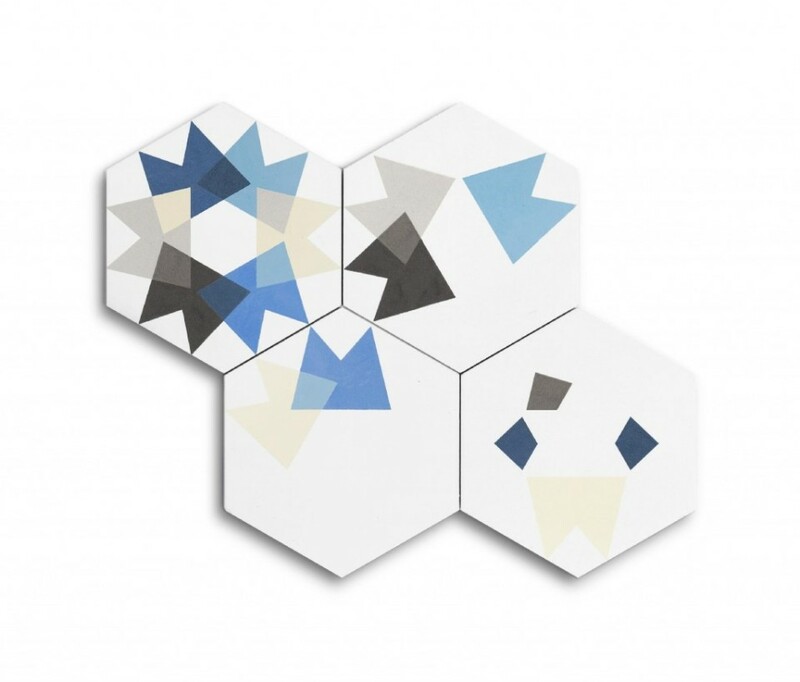 Multi-coloured pieces flood Keidos, a new emotive and playful design collection. 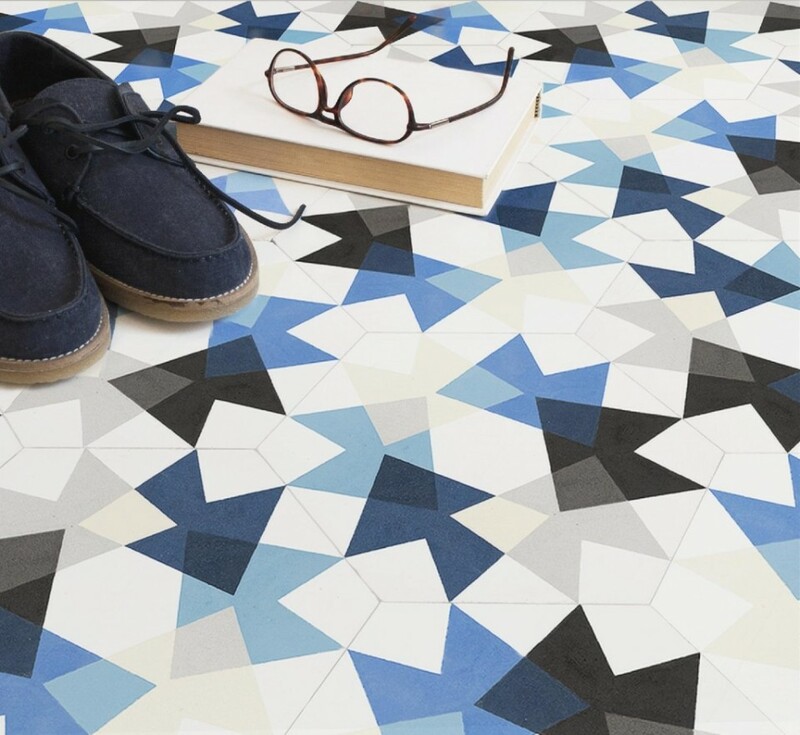 Keidos breaks with the formal tradition distancing itself from a rigid, modular system that characterised hydraulic floors at the end of the 19th century. 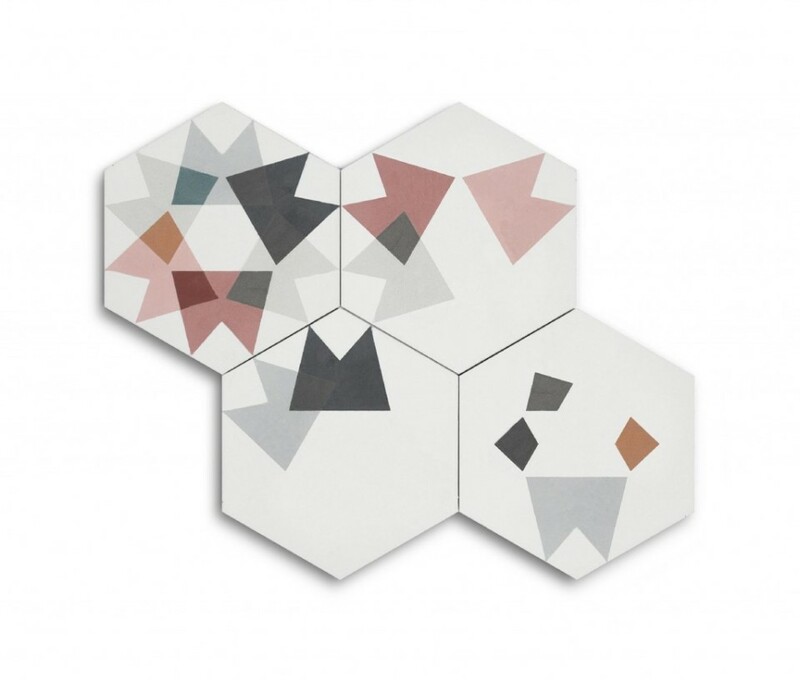 Thanks to simple geometry the four pieces that make up Keidos represent the pieces of indescribable beauty captured by kaleidoscopes.